What Gives Meaning to a Bat or Bar Mitzvah? What gives meaning to a Bar or Bat Mitzvah? 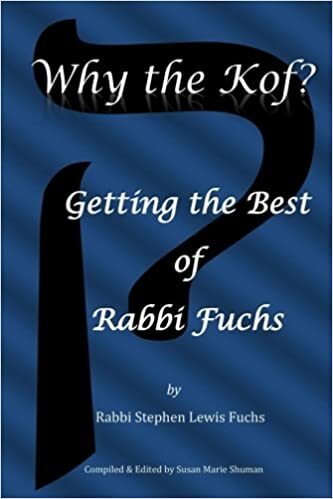 Is it a flawless presentation of the Torah and Haftarah readings? Is it a great party afterwards? These questions were on my mind as I sat with Julia Madonick last week to discuss the timeless teachings from Leviticus 19 known as “The Holiness Code,” that she will read from the Torah as she becomes a Bat Mitzvah this Shabbat. My hope for the long-term impact of Julia’s Bat Mitzvah is the same as my hope for every student that I have had the privilege to teach over the last 42 years. I hope that her understanding of her Torah portion will continue to grow with her as her intellectual and spiritual capabilities continue to expand and mature. I am proud that Julia is “leaving the corners of her field” by teaching her passion for dance with children less privileged than she. When the Torah teaches of God’s concern for the “widow, the poor and the stranger,” the text cries out to us that decent health care, wages, educational opportunities, housing and nutrition should be available to all of God’s children, not just those born to privilege or blessed with the ability and good fortune to pay huge sums for these things. Julia will also teach, “You shall not go about as a gossip.” There is awesome potential in our ability to communicate. Our words can uplift and exalt or denigrate and cause pain. How we use this power is up to us, but the Torah is clear in its instruction. What gives meaning to a Bat Mitzvah? 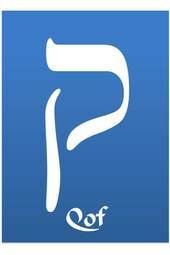 It is not so much the chanting of Torah but the meaning of Torah for today! I pray that the vital religious lessons Julia teaches at her Bat Mitzvah will not be just a pleasant memory. Rather I hope that they are–and will continue to be–urgent imperatives, which she and all of us continue to aspire to uphold throughout our lives. 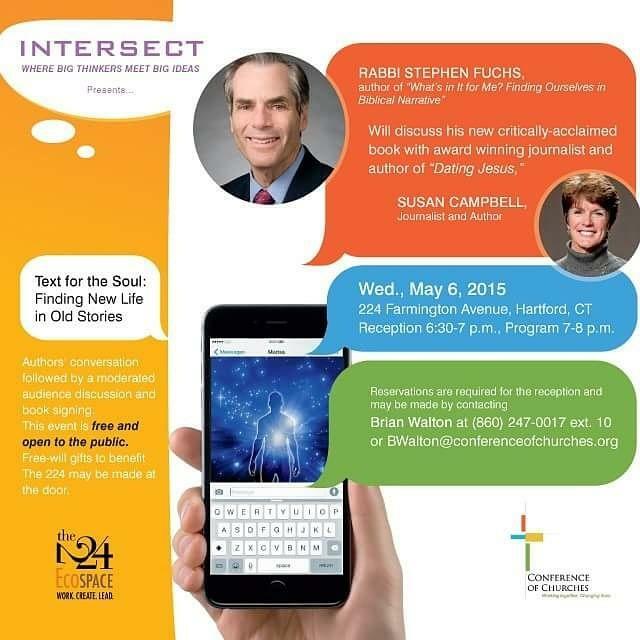 Rabbi Stephen Fuchs is the author of What’s in It for Me? Finding Ourselves in Biblical Narratives. 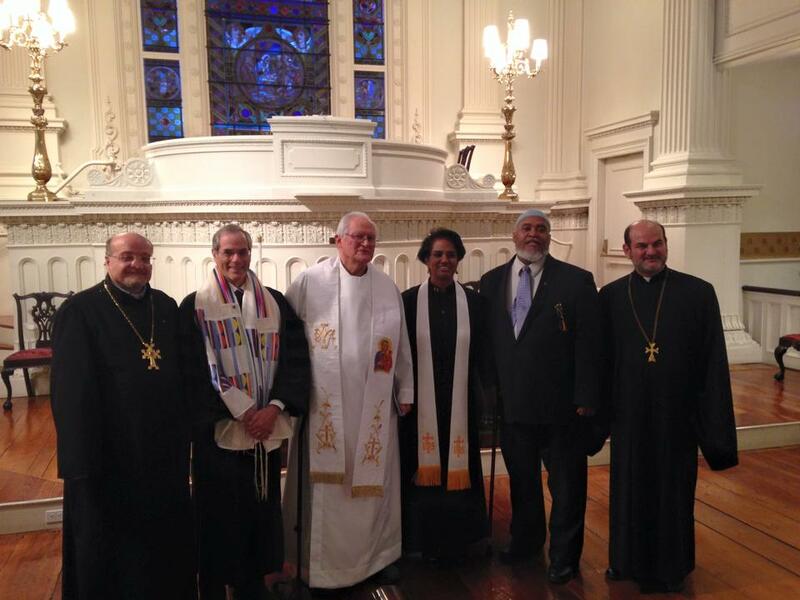 He is Rabbi emeritus of Congregation Beth Israel in West Hartford and the former President of the World Union for Progressive Judaism. Achte auf den toten Winkel! Als ich das Autofahren lernte, war die wichtigste Lektion des Fahrlehrer wie des Lehrbuchs der Tote Winkel. Wenn wir die Fahrspur wechseln, könnte sich ein Auto im Toten Winkel verstecken. Wir könnten einen schlimmen Unfall verursachen, wenn wir nicht zu allererst auf den Teil der Straße kontrollieren, den unser Rückspiegel nicht erfasst. Das gleiche Prinzip gilt auch für zwischenmenschliche Beziehungen! Eins der großartigen Gebote des Tora-Abschnittes dieser Woche ist, dass Gott uns verbietet, “dem Tauben zu fluchen und vor den Blinden ein Hindernis zu legen” (Levitikus 19,14). In meinem ganzen Leben habe ich niemals gehört, dass jemand einem Tauben geflucht hätte oder einem Blinden vorsätzlich etwas in den Weg gelegt hätte. Gebietet uns die Tora etwas, was sowieso niemand tun würde? Sicher nicht! Auf gewisse Weise ist jeder von uns taub und blind. Wir alle haben Tote Winkel und Blinde Flecken. Wir haben Schwachpunkte und Empfindlichkeiten. Dieser Vers lehrt uns, die wunden Punkte anderer nicht auszunutzen. Aber diesem Ideal zu entsprechen ist gar nicht so leicht, grade bei denen, die wir lieben. Wenn wir mit jemanden zusammen leben, kennen wir seine Empfindlichkeiten. Wenn wir uns ärgern – und Ärger und Meinungsverschiedenheiten sind Teil auch jeder liebevollen Beziehung – beginnen wir meist instinktiv dort zu stochern, wo unsere Lieben taub und blind sind. Und sie machen es mit uns genauso. Schlagen wir unter die Gürtellinie und zielen wir auf die Archilles-Verse, wenn wir verärgert sind? Wenn wir es tun, dann schädigen oder gefährden sogar unsere wertvollsten Beziehungen. Aber wenn wir uns davon zurückhalten unserer Lieben blinde und taube Flecken auszunutzen, dann verdienen wir – und ich bin sicher, wir spüren auch – Gottes Freude. Das ist die Anstrengung wert! When I was learning to drive, one of the most important lessons the instructor and the manual taught was, “Check the blind spot!” When we change lanes, a car could be lurking and a dangerous accident could occur if we do not look first at the spot on the road our rear view mirror does not reveal. The same principle holds in human relationships! In all of my life I have never heard anyone shout curses at a deaf person or try to purposely trip someone who is blind. Is the Torah commanding us to not do something no one ever would do in the first place? Certainly not! In some ways each of us is deaf and blind. We all have blind spots. We all have vulnerabilities. This verse is instructing us not to exploit these weaknesses, but this is not an easy ideal to live up to especially with those we love. When we live with someone we know what his or her sensitivities are. Anger and disagreement are parts of any loving relationship. When we get angry we—almost instinctively–hone in on those areas where they are “deaf and blind”, and they do the same to us. Do we hit below the belt and go for those Achilles heels when we are angry? When we do, we damage or even jeopardize our most precious relationships. But when we hold ourselves back from exploiting those areas where our loved ones are “deaf and blind” we merit—and I believe we can feel—God’s pleasure. It is worth the effort to check the blind spot! “Stock und Stein können brechen mein Bein” – Worte können das auch! In einer Passage aus Levitikus über Hautkrankheiten für heutiges Leben etwas Lehrreiches zu fingen, ist eine formidable Herausforderung. Aber unsere Weisen waren ihr gewachsen. Sie schauten sich das Hebräische Wort für Lepra, מצורע – metzora, an und lehrten, dass Lepra die angemessene Strafe ist für den Missbrauch der Macht des Wortes. Die Weisen verstanden, dass unsere Fähigkeit der Rede eine beeindruckende Macht ist, die einerseits sehr viel Gutes tun, andererseits so sehr Schaden anrichten kann. In ihrer Genialität interpretierten sie den geheimnisvollsten Abschnitt der Tora als eine Warnung vor einer der verbreitetsten und schädlichsten Sünden: Verleumdung und Klattsch. Sie entwürdigen, so lehren unsere Weisen, drei Personen: den, über den geredet wird, den, der es ausspricht, und den, der zuhört. Es ist eine Sünde, die die Rabbiner mit Mord vergleichen (B. Arakin 15b). “Natürlich ist es möglich”, sagt der, “aber sobald Worte über unsere Lippen gegangen sind, können sie niemals zurückgeholt werden. Darum pass auf, dass du deine bedeutende Macht der Worte nutzt zu helfen und ermutigen, nicht um Schlechtes zu reden und Menschen fertig zu machen. Das gehört zu dem Wichtigsten, was das kleine Mädchen und wir jemals lernen können. Finding meaning for our lives today in the passages in Leviticus dealing with skin diseases is a formidable challenge, but our rabbinic Sages were up to the task. Looking at the Hebrew word for leprosy, מצורע – metzora, the rabbis taught that the disease was the appropriate punishment for the mot zee ra — one who abuses the power of speech. Our Sages understood that our ability to speak is an awesome power that can cause either much good or much harm. In their genius they interpreted the most esoteric passages of the Torah as a warning against one of the most common and most pernicious of sins, slander and gossip! It is one of the most important lessons the little girl and all of us can ever learn. Congregation Beth Israel, the Jewish people and the world at large have lost a great man! It spoke volumes to me about Bennett Pearl’s values that he and Libby celebrated their 50th anniversary by coming to Shabbat Eve services at his beloved temple. It was rare that he was not here, and his smile warmed the sanctuary. Bennett often referred to himself as the only volunteer that I ever fired. He worked so hard and so tirelessly on the Legacy Program for the temple. He threw his heart and soul into the effort. Several years ago he ended up in the hospital. I asked his doctor whether Bennett’s full-throttle efforts on behalf of the Legacy program could jeopardize his health. When the doctor agreed that it could, I took Bennett off the case. As it turned out, it was only a medical furlough, not a firing. Before too long Bennett was back on the job that was so important to the future of the synagogue he loved so much. Bennett’s love was not just for the synagogue as an institution but for the values it represents and for its people. His love for and kindness to Vickie and me was a love we both felt constantly. He knew that chocolate chip ice cream was one of my favorite foods, so one day while I was recovering from surgery, he made a special trip to Manchester to buy me home made chocolate chip ice cream that is legendary. He took a special interest in my son Ben, and the two of them talked business for hours. When Ben returned to Connecticut from Arizona, Bennett was a huge help to him in sorting out his career priorities and goals. But perhaps Bennett’s activity that I admire most is his devotion to the little girl he tutored as a volunteer every week at Rawson School, his own alma mater. Every step of progress she made filled his heart with joy. The Talmud teaches, “One who saves a single life, saves the entire world (B Sanhedrin 37a). ”Bennett Pearl saved many lives during his earthly journey and brought joy to many others. If there were more people like him, Jewish life would be better off, and the world would be a better place. His memory will always be a blessing to our family and to so many others.